The Revisit at Gulfshore Playhouse by Johnnie Hobbs, Jr.
Johnnie Hobbs, Jr. is playing Simon in “The Whipping Man”. Myself, James Ijames and Cody Nickell, under the direction of Matt Pfeiffer engaged in a production of The Whipping Man about a year and a half ago in Philadelphia at the Arden Theatre. The memories of that experience will remain indelible. Moving forward to our first read through at Gulfshore Playhouse, with new cast member Biko Eisen-Martin, one could sense quite positively that this revisit could benefit us all. Biko had just finished a successful run of The Whipping Man at the Actors’ Theatre in Louisville. His experience with this intense Matthew Lopez play is very recent, while the rest of us last worked on this play nearly 18 months ago. The Whipping Man strikes many personal notes for me and they all play a crucial part throughout my preparation for the role. Foremost is that Slavery in America was a brutal institution. I’m old enough to have had relatives who were part of this brutal practice, and their stories were passed onto me as a little boy. This genetic memory that lives inside me is what keeps Simon alive and present. He has dignity and purpose at a time when he is considered, in many ways, less than human. The opportunity to portray this character is something I don’t take for granted. Matt has been able to engage the cast with our individual memories, which has given birth and permission for all of us to rediscover ourselves in this beautiful story, to quote our director, of Faith, Family and Freedom. Our next mission: to share this experience in collaboration with the Gulfshore Playhouse audiences. 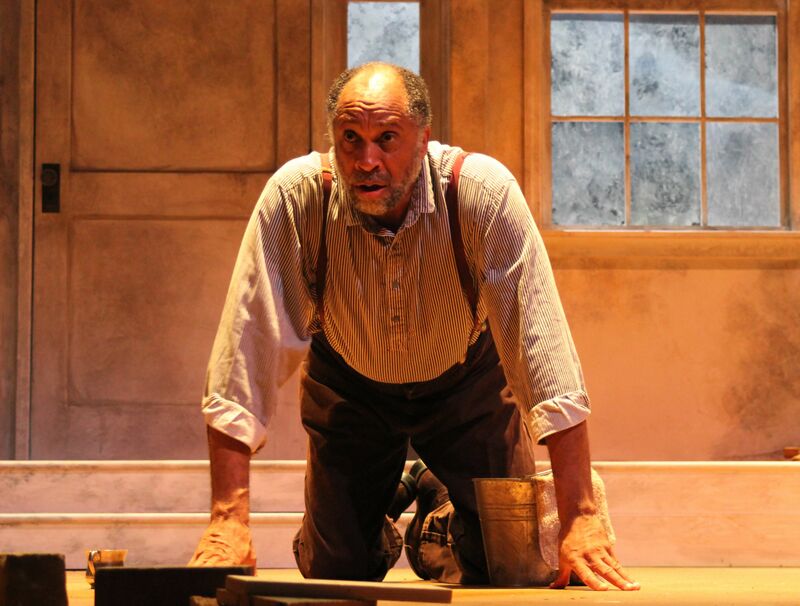 “The Whipping Man” was one of the BEST plays I have ever seen…….well-acted, intense, introspective. I hung on every word these fabulous actors recited. It was an experience I shall not soon forget. Thank you to the entire company!